This is an Ingress post and I’ve had over 700 AGREEMENTS since I went to Poor in OPR’s rating system. I don’t know which portals we’ve had agreements with, and which were disagreements. My % of agreements has stayed steady which implies that my reviews are just as awful as ever, I guess. You’d think when you have that many agreements that you’d be doing something right! To help with self-review I’ve just started a spreadsheet of my reviews and the ratings I’ve given. That will let me go back and check to see if the portals have been approved – although their absence doesn’t mean they’ve been rejected, they could be still in the process or in limbo. And then there’s taking a good hard look at my own submissions and understanding why they didn’t make the grade. 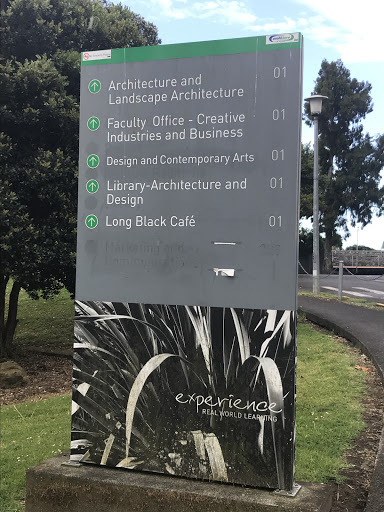 Let’s start with a local Auckland university. 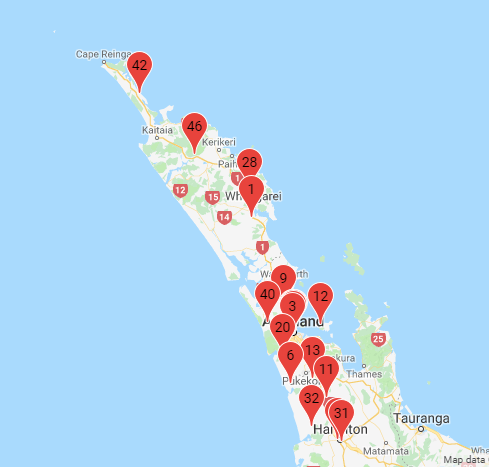 I’d spent a bit of time looking at the portals and missions around Sydney University and figured that Unitec could justify a similar density. This site has a balance of interest from both factions wtih agents either living locally or working on site. Alas, it’s not to be. A directions sign, might have been better had it been a place name but directions signs are approved in many places. 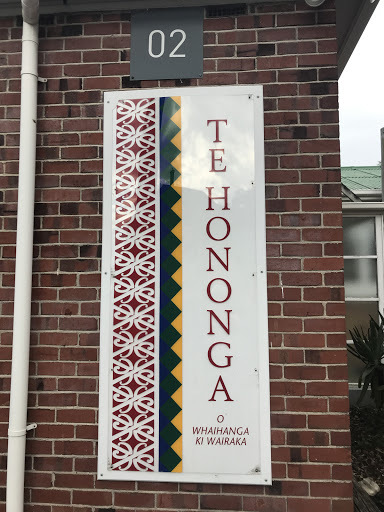 Te Hononga, the School of Architecture, easily accessed, close enough to a road to be a drive-by, close enough to a public cycle path & coffee vendor for non-academic access. Who doesn’t love a site map? Gosh, there’s another all the way over on the side of the campus that got approved, and yet this one is still visually unique. 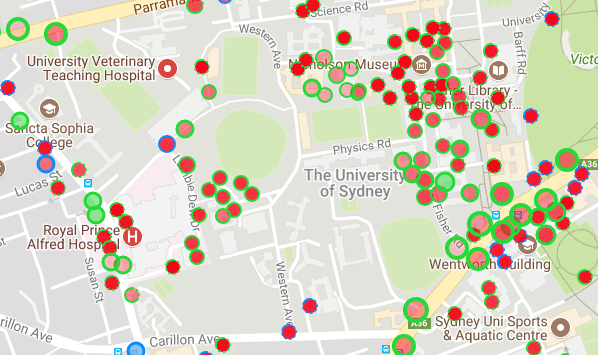 This is a university, these students are adults, a portal isn’t encouraging people to lurk by a school. I like how bold that sign is. A bit shabby but someone once put a lot of effort in and I like the sentiment of welcoming all the local and international students. 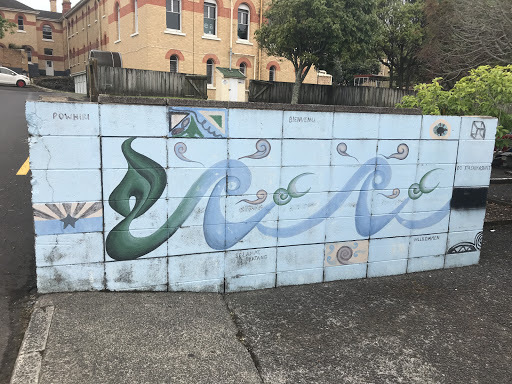 This mural is on the edge of the through road and easily accessed by anyone passing through. You’d have to know the place well to know that the building it belongs to is currently unused – but that alone isn’t grounds to reject. 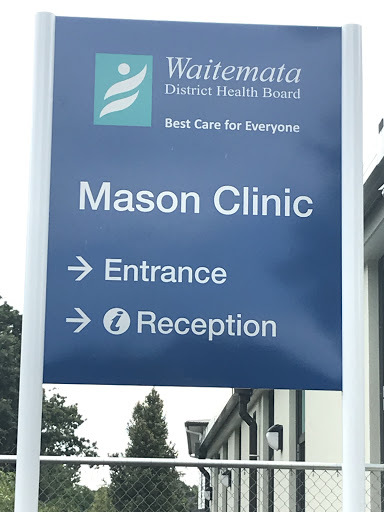 Now, the Mason Clinic I can kind of understand. Even the locals are mostly unaware that this is actually a prison. 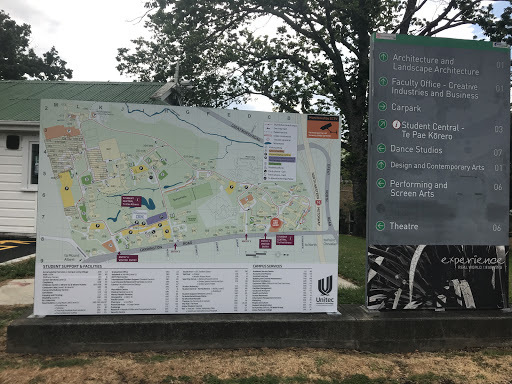 The sign, however, is on the edge of the University’s property and can be safely accessed by the public without hindering University or Clinic personnel. There are no emergency services.